HB 111, the North Carolina version of restaurant carry, has been resurrected in the NC legislature. Of all the restrictions placed on concealed carriers in North Carolina, this is one of the two that I find most onerous. I hate having to get my gun from holster to lockbox in my car without spooking the sheep. Doing things like that are simply an invitation to an ND. Originally, the term "D-Day" was simply the specific date that a military operation was to occur. It was a generic term, much as "H-Hour" was the time the attack was to begin. After June 6, 1944, that changed. Operation Overlord, the invasion of France, actually began on June 5, as paratroopers dropped on a number of areas behind the Normandy beaches. However, the storming of the beaches began on June 6, and thousands of Americans, British, French, Canadians, Poles and others died in the process. 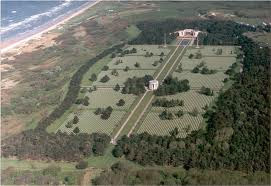 That memory left such a mark on our collective psyche that June 6 became etched forever as "D-Day", the day that we remember--and a day to give thanks that such men lived.